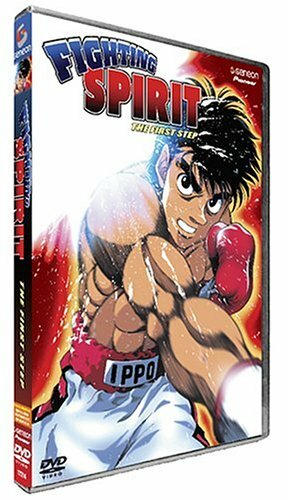 Fighting Spirit #1 - The First Step - BUY THIS DVD! Based on a popular sports manga, FIGHTING SPIRIT chronicles the transformation of Ippo Makunocuhi from a timid boy who makes an easy target for bullies to a brave boxer. In this edition, Ippo wants to join the Kamogawa Boxing Club, but the leader won't let him until he knows he has the will to succeed -- and he makes him prove it by fighting with the talented Miyata! HOW TO WIN? SIMPLE. SEND IN YOUR NAME AND ADDRESS TO contests@efilmcritic.com. Put "SHOW EM THAT FIGHTING SPIRIT" in the subject line and cross your fingers. There will be 5 lucky winners. We will draw names and one of the DVDs from Geneon will be yours. Only 1 entry per household.